Dialog ⋆ 100% Private Proxies - Fast, Anonymous, Quality, Unlimited USA Private Proxy! I would like to override Modal Dialog Box CSS in SharePoint 2013.I using Below CSS in the Content Editor Web part of the Particular list Newform.aspx.But Its not overriding existing CSS. I upgraded to Ubuntu 18.04 and I find a very annoying “feature” when I commit in git which was not present in 16.04 with Unity. I have gpgsign enabled and everytime I commit in git it opens a modal dialog box where I have to insert the GPG password. As someone who values my security I keep all my passwords in a KeePass database which is conveniently not usable when this uselessly modal dialog comes up. How do I stop Gnome from creating a modal dialog when asking for passwords? I want to be able to copy&paste my password from KeePass when the dialog asking for password is already shown, and even better be able to search my KeePass db for the correct entry (i.e. I should also be able to type inside KeePass). It’s a real waste of time having to cancel whatever operation, then copy the password and having 10 seconds to repeat it before the password gets cleared from the clipboard. Especially when I try to commit from an IDE since when selecting files it does not stage them which means if I forget to copy the password right before clicking on commit I have to reselect all the files/portions of files to commit. BTW: I do not want to use the GNOME keyring. I want to be able to use KeePass. Is there a way to do this in Gnome or do I have to uninstall ubuntu-desktop and install kubuntu-desktop instead? ¿Como puedo obtener los datos creados de un adapter hacia un Dialog fragment? Tengo un activity que llena dos listas que paso a un adapter, cuando se llena ese adapter lo paso como parámetro de constructor de un Dialog Fragment y lo muestro en pantalla , ese adaptador crea controles dinámicos en el método onBindViewHolder y a la vez llena un Recycler view (mostrado en mi Dialog Fragment) con esos controles creados, mi pregunta es ¿como puedo desde mi Dialog Fragment obtener todos los datos de esos controles creados en mi adapter? How to put back de CKE Image Dialog Box in Drupal 8? I learn that it was a core issue. But my contributors are used to it and have a different level of expertise… This little dialog box was usefull, allowed them to choose the size of the picture and to put the ALT tag. How to create a Drupal 8 modal dialog which is draggable and resizable? my ‘chapter6/help-styling’ library is js downloaded from https://jqueryui.com/download/#!version=1.12.1 with the Interactions ‘draggable’ and ‘resizable’ selected. This code did not create a modal; my form came up as a page. osascript -e "display dialog \"Is now a good time to back up?\""
This works great when the system is open/online, but it seems to hang if the lid is closed or screen is locked/off. A tolerable way to test this is to SSH into the system as the same user with the desktop active, run a command like the one above, and observe that the dialog pops up. If I run the same command with the system locked, it just hangs. If I unlock/open the system, the command doesn’t finish, and the dialog doesn’t appear. Is anyone aware of a way to detect this condition so that I can abort the script run before it hangs (or keep the job from running at all until the system is active…)? osascript -e "display dialog \"Is now a good time to back up?\" giving up after 600"
I’m building a MD styled desktop application that essentially acts as a dashboard (w/ a data table) for a list of remote devices. Within the data table, I have a button for each item that presents a dialog of the detailed properties for that item. I also want the user to see a history of action items for each item. I think a good UX decision to present the item action history would be to create a tab layout for this same dialog, one tab for item detail view, one tab for item history. I don’t think this is taboo for MD design, but if it is, can someone recommend some good alternatives for the data I’m looking to present to the user? I want to turn an EditText to a string. The toString() method doesn’t work, name_string is null when I print it out later. Are there any other ways to turn an EditText to a String? 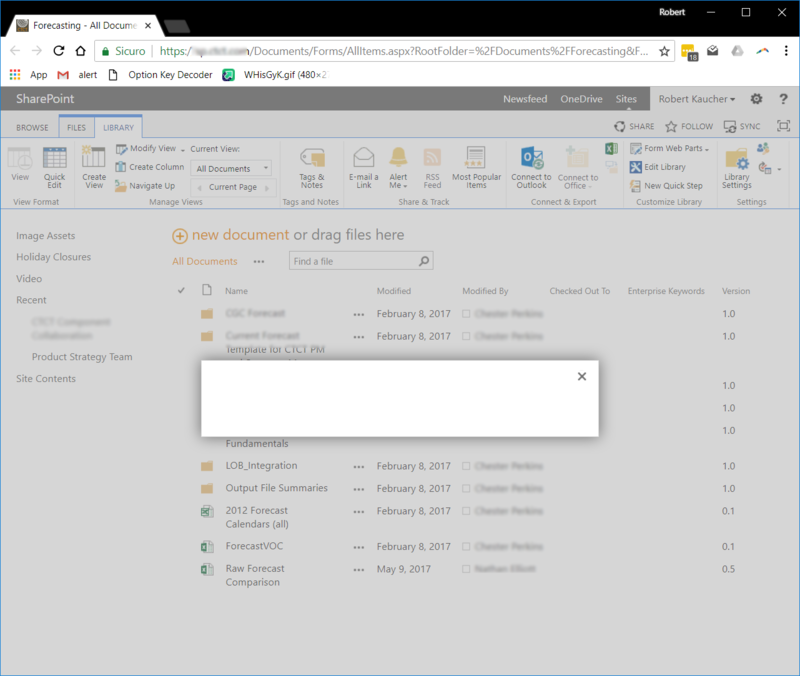 I need to open a SharePoint form from an image button but in a modal dialog box. Is that possible?